Vienna, April 2 2014: Over the past two years, kompany.com has revolutionized the market for company information with real-time data solutions. The 3rd funding round was lead by existing shareholder LIVAG GmbH of Industrialist Norbert Zimmermann (Berndorf AG) and the new shareholder and institutional business angel AC & Friends. Today kompany already offers a free company search with instant access to verified and official information on 21 million companies from 25 countries and plans to use the fresh capital to expand into Eastern Europe and the USA, and will accelerate the product development for Verify360 and the European Company Identity Card. The capital increase is carried by the existing business angels, led by LIVAG GmbH controlled by the family of Norbert Zimmermann, which increased its stake to just under 12%. 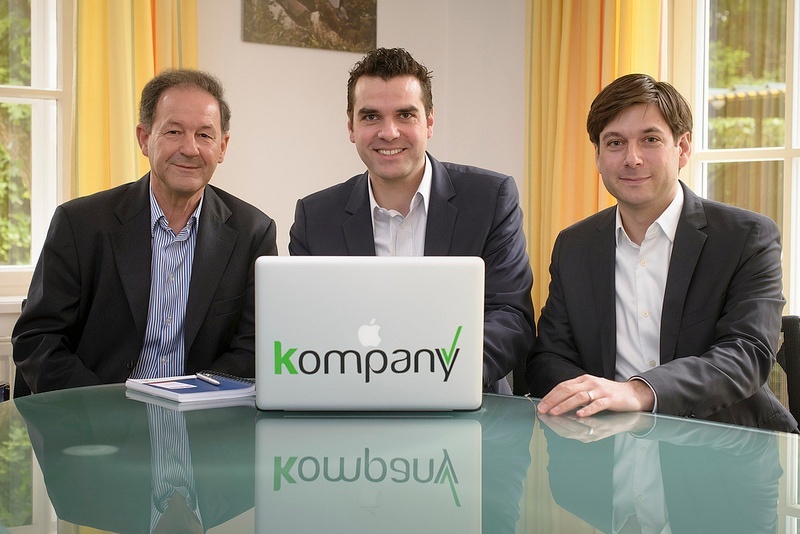 The new shareholder joining kompany is AC & Friends GmbH, an institutional business angel founded by Christopher Grabher and Andreas Schuster. The market for verified and reliable business information, from official government data to credit information, is become the cornerstone of trusted business information. kompany is at the forefront of this growing sector and will be able to take a leading role globally through this infusion of capital. Specifically, the funds will be dedicated to expand the access to trusted content of company information by ten Eastern European countries, the market preparation for the US and the accelerated product development of its technical platform and core. In March kompany launched Verify360, a complete package for business owners with access to trusted company data, the ability to present their business through a trusted profile and free access to their company filings and through the European company identity card issued exclusively by kompany in 25 countries. This can be presented to new customers and business partners, creating a foundation of trust in national and international business from the outset. The demand by small and medium-sized enterprises (SMEs) for verified and trusted business information has been growing particularly strong recently. Previously, access to trusted information was reserved for large corporates with many access barriers for SMEs, especially for instant and international information. Launched commercially in April 2013, kompany serves one million trusted company profiles every month. By the end of March 2014, the start-up has already signed up 10,000 paying corporate customers and is aiming to reach operating break-even this year.